With the rise of the internet and social media platforms, health trends have become easier to follow and more popular as each year passes. Each year bringing with it new opportunities and new ways to look after your mental and physical health. On Instagram, there is an abundance of celebrities posting stories and pictures of what their daily health routines consist of. Some celebs go as far as endorsing products for both the food and wellness industry while others develop their own and masses of followers tend to jump on their health trend bandwagon. But the truth is, some trends fizzle out thanks to a lack of scientific evidence. 2019 is the year to put all health and wellness myths to rest and to rather focus on what your body and mind really need. It’s the year to finally stick to those resolutions and to start going back to basics using natural alternatives and becoming more environmentally conscious. Here’s what is on our health trend forecast for 2019. During the past year, we have seen a major shift in how some countries and states are viewing the use of marijuana. Some states such as California, Alaska, Washington, and Vermont have legalized marijuana for both medical and recreational use while other states such as Arizona, Florida, Hawaii, and New York only allow the use of marijuana for medicinal purposes. On the other hand, some states such as Alabama, Kansas, Texas, and Kentucky only allow the use of Cannabidiol or better known as CBD oil (1). Unlike Tetrahydrocannabinol, or rather THC, the main cannabinoid which is responsible for psychoactive sensations found in cannabis, CBD is a better option for those who are looking for relief from pain, insomnia, anxiety or other disorders without any mind-altering properties. Several studies have found CBD oil to be effective for fighting off a wide range of ailments and the symptoms that go along with it such as Arthritis, acne (2), chemotherapy-induced nausea (3), and multiple sclerosis. With these benefits in mind, more and more businesses within the health food industry are introducing CBD oil to their dishes from doughnuts to infused olive oils (4), so you can be sure to see CBD oil topping the food health trends this year. One of the top food health trends to be on the lookout for this year is CBD oil infused treats. 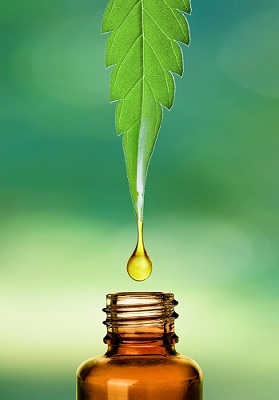 CBD oil has a variety of benefits such as reducing acne, reducing pain in arthritis and alleviating chemotherapy-induced nausea without having to experience any mind-altering properties. 2018 was the year when the ketogenic diet truly had more than 5 minutes in the limelight and we can understand why. While the ketogenic diet has been around for decades, the diet’s popularity gained the most traction in 2018, however, this year, the diet is shifting towards using more sustainable principles that are environmentally friendly but yield the same results. Generally, the idea behind the ketogenic diet is that you eat foods which are high in fat but low in carbohydrates. When you eat a carbohydrate-rich food such as a cookie or cake, the body converts those carbs into glucose and insulin. Since glucose is one of the easiest molecules to convert into energy, it will always be used as the primary fuel source by the body. When you restrict carbohydrates, the body is forced into a metabolic state known as ketosis whereby the liver starts to break down stored fats into fatty acids and ketone bodies. The ketone bodies are then passed through the brain and used as an alternative source of energy. To put it simply, by restricting carbohydrates, you force your body to burn fats as fuel as opposed to storing them and using carbohydrates as the main energy source. This year, we can expect to see a more environmentally friendly way of eating high fats – which is usually done by eating red meat and full-fat dairy. This doesn’t mean having to follow a completely vegan keto diet, it just means that limiting the amount of red meat and eating more plant-based fats such as macadamia nuts, walnuts, and avocados will help reduce your carbon footprint. When It comes to dairy, rather opt for buying products from local farms which are USDA certified organic and against feeding cows synthetic hormones such as rBGH (Recombinant Bovine Growth Hormone) to increase milk production (5). In 2019, the ketogenic diet is making a shift towards a healthier environment for each an every one of us. 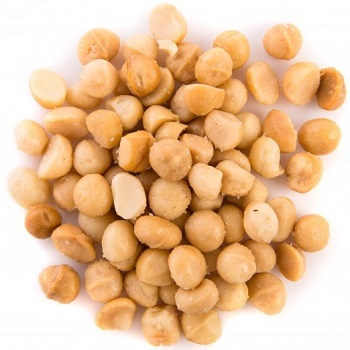 While the principals are still the same, the Eco Keto Diet encourages those following it to limit their red meat intake and opt for more plant-based foods which are high in fat such as macadamia nuts, walnuts, and avocados. The Eco Keto Diet also encourages participants to purchase dairy from local farms that are USDA certified organic and against the use of synthetic hormones such as rBGH (Recombinant Bovine Growth Hormone). Since diets such as the one we have discussed above are making more sustainable adaptations, it only makes sense that new products are being formulated with these changes in mind. Faux meat is the hottest snack trend on the market which is specifically formulated to give your daily “meat” intake without using any meat. When land is used for animal agriculture, acres of trees need to be cut down to make space for grazing and farm sheds. Animal waste that is not disposed of or reused for manure can land up polluting streams and rivers. According to the Environmental Protection Agency, animals who are raised for food is quickly becoming the number one reason for water pollution. More than one-third of raw materials and fossil fuels used in the USA is consumed by raising livestock for food. The raw waste a pig factory generates is almost equivalent to a city of 12 000 people. Innovative companies and people are seeing the need for meat alternatives and are rapidly producing products that not only taste great but also help to reduce the carbon footprint we are leaving on this earth. This year we will be seeing more keto friendly ingredients replacing meat snacks and meals such as mushrooms, seitan, millet, and eggplant. The keto diet will continue to dominate food trends for this year, however, the manufacturers of keto friendly prepackaged snacks and foods will be taking a different approach by offering more sustainable alternatives to meat. Mushrooms, seitan, millet, and eggplant will all be common ingredients that you can find in Faux meat snacks. It is estimated that the global cosmetic industry produces a staggering 120 billion units of plastic a year! Fortunately, one thing is for certain when it comes to trends in the health and wellness industry, that more and more companies are joining in on the zero plastic movement. The USA and UK have already passed legislation banning the use of microbeads (small plastic beads used in shower gels, toothpaste, and exfoliators) in any cosmetic product because of the detrimental effect it has on our oceans. This is the first step forward to a healthier planet and as far as this trend forecast goes, it looks like the zero plastic movement is not slowing down any time soon. In 2019 we will see more manufacturers using “naked” packaging. What this means is that companies in the cosmetic industry are moving away from the traditional way of packaging items in plastic bottles. It is predicted that more cosmetic brands will sell products such as shampoos, bubble baths, and bath oils as solid bars as opposed to liquid form in the future. Other brands have promised to start using 100% recyclable, compostable and reusable plastic by the year 2025 (7). The cosmetic industry is responsible for producing up to 120 billion units of plastic a year, however, innovative brands and manufacturers are working towards reducing their carbon footprint by introducing zero waste packaging. In 2019, big brands will be shifting towards using solid bar shampoos, bubble baths, and bath oils or using packaging that is 100% recyclable, compostable and reusable. Not only does this help the environment but it also helps to cut costs making products more affordable for the consumer. Both men and women are starting to invest more in their skin, it is the largest organ after all. 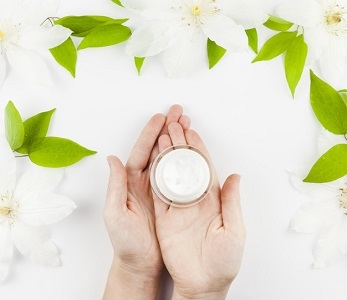 With every new product and every new brand launching, consumers are becoming increasingly knowledgeable about what ingredients a skin care formula should contain and what ingredients they should be wary of. The internet is equipping consumers with enough knowledge to know the difference between ingredients such as retinyl palmitate (8) and retinol and is forcing brands to become more transparent and open about what they put into their formula. While there are many brands that offer complete transparency, many others are expected to follow suit in 2019. This transparency does not only apply to the formulation but also to the company’s ethics and business practice. 100% vegan, animal-friendly, ethical buying, and naked packaging are company slogans and policies you should expect to see more of in 2019. Consumers have become more dubious about ingredients that are listed on a product’s packaging and the demand for companies to become more transparent about their formulations is increasing. Consumers are equipped with knowledge and are starting to call manufacturers out about what they are putting into their products. In 2019, companies are expected to follow suit when it comes to transparency of the ingredients they are using and the business ethics they are practicing. Now that we have listed a few of the most promising health trends for 2019, there are a few that should be left in 2018. Not all trends are promising and some are just downright bad for your health and wallet. Take Appetite Suppressant Lollipops for example, which as the name suggests is supposed to help you curb your appetite and lose weight, however, there is no scientific evidence to validate that these lollipops help you to lose weight in any shape or form. From toothpaste to facemasks and pills, manufacturers joined in on the activated charcoal craze as soon as the interest sparked online. Activated charcoal has even made its way into the food industry, charcoal hamburger buns and black ice cream anyone? While this craze may be generating money, the primary use of activated charcoal is when there is a medical emergency and life-threatening toxins are in the patient’s body. 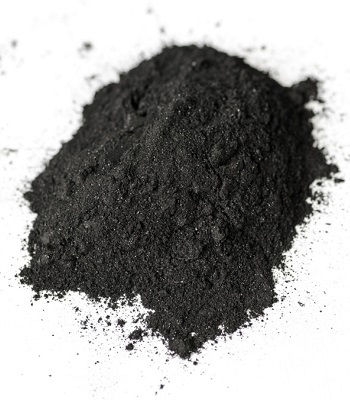 The charcoal prevents toxins from entering into the bloodstream by binding to the poison in the digestive tract. While you may think that popping a charcoal pill may help with a hangover or when you need a boost, it is also very important to note that it prevents nutrients from being absorbed into the bloodstream and can interfere with medications such Tricyclic antidepressants and blood pressure medications. In some situations, taking activated charcoal without medical advice can have a very negative effect on your health (9). Another trend that made its way online in 2018 and managed to get a mass following was drinking raw water. Raw water is water that has been found naturally and has not been treated, for example, rainwater that has been collected or water that is taken directly from a river and has not been through any filtering cycle (10). While there are many advocates for drinking raw water, there are potential health risks that you may be exposing yourself to. Unfiltered water is contaminated with harmful bacteria, minerals such as arsenic as well as copper, and parasites. While this water may seem clean, you run the risk of ingesting microorganisms such as Cryptosporidium which is found in animal feces and causes adverse side effects such as nausea, abdominal cramping, and potential death. There are wonderful trends in the health and wellness industry that seem to stick and yield measurable results and then there are others which seem to be more of a fad as well as a hazard to your health more than anything else. Fortunately, these fads seem to die out quickly especially when science disproves each theory and there is not enough evidence to prove otherwise. The two main trends that should be left in 2018 are activated charcoal and drinking raw water. Activated charcoal may have very negative impacts on your health, especially when taken with antidepressants or high blood pressure medication. Raw water is filled with contaminants and bacteria which could cause severe side effects. Taking into account all the trends in the health and wellness industry that we have discussed for 2019, it seems they all have something in common. Companies and consumers alike are making the shift towards a more sustainable environment and it seems like this is just the beginning. From reusable straws to biodegradable shampoo bottles and curbing the amount of red meat you eat, more and more people are doing their part to change our planet for the better. 2019 is the year to reduce your carbon footprint and look after your health in a more natural and holistic way!